Bees are amazingly active insects, and they seem busy all year in preparation for the brutal months of winter. Once the temperatures begin to drop, these insects seem to vanish from sight. Our clients ask questions about the hives they leave behind, and these questions are well-founded. Many hives appear to be empty or abandoned, so we get calls about these nests whenever the temperature begins to drop. People who observe this pattern year after year often wonder what happened to the bees, so this article will attempt to shed some light on the subject. As a general rule, we discourage anyone from removing them from the property before the hives can be disposed of in a safe and sanitary manner. Attempts at moving a beehive without professional assistance could be dangerous. It is clear that the bees have to go someone during the winter, and it is also clear that they are able to survive. Since they appear every spring, it is certain that most of the colony was able to withstand even the coldest months. The answer to this interesting question has to do with the unique ability of bees to survive as a group. Bees are able to survive the coldest months through an organization practice known as clustering. They will retreat to the innermost areas of the beehive and cluster around the queen bee in order to keep her warm throughout the winter. The survival of the entire hive depends on the ability of the worker bees to keep the queen from freezing to death, so this becomes the highest priority. The bees will also rotate in order to minimize the rate of death for the worker bees. The cluster must be able to keep this up for months at a time in order to survive. In regions where the temperatures drop far below zero, this requires a tremendous amount of energy. Energy sources for this activity are essential for the survival of the entire colony. As the bees move around, they will also produce body heat by shivering. This is an intense motion that also requires a lot of energy. To maintain the temperature necessary for survival, the bees will rotate and shiver throughout the winter. This also requires huge amounts of energy, and this is supplied by the honey collected all throughout the year. Humans who collect bee honey can cause the colony to die if they are not left with enough to survive the coldest months of the winter. Whenever a human removes honey from the hive, it is important for that person to be aware of how much is left. Bees that are unable to access this energy source will be left to die. They can also starve during the first months of spring if they are unable to access this honey. Our pest control experts can help you to decide on the best course of action to take depending on your goals for the bee colony. 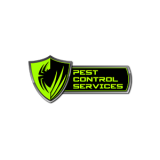 Contact Pest Control Services Inc. today for assistance.